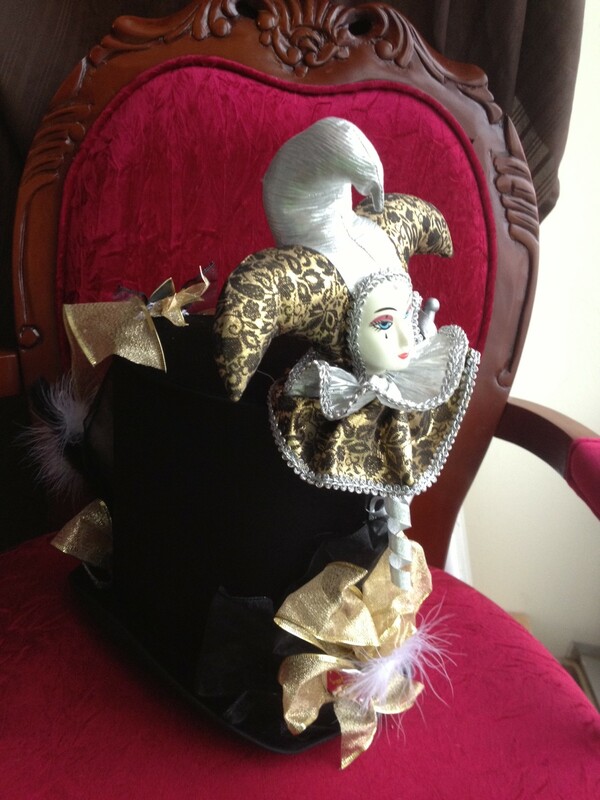 As Mardi Gras approaches, I decided it was a great time to add a hat to my Etsy store. Actually I’m a working on a few toppers and I’ll be sharing each of them in the next few weeks. This time of year also had me thinking about masks; how wearing them can not only change our looks but our inside emotions as well. I’ll go into more depth on this in a future blog. 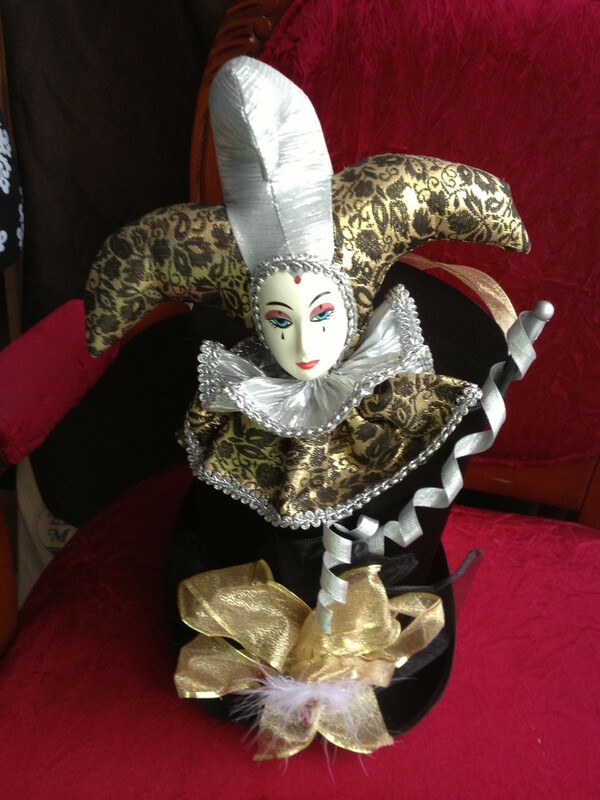 In the meantime enjoy the creation of this Mardi Gras Top Hat. 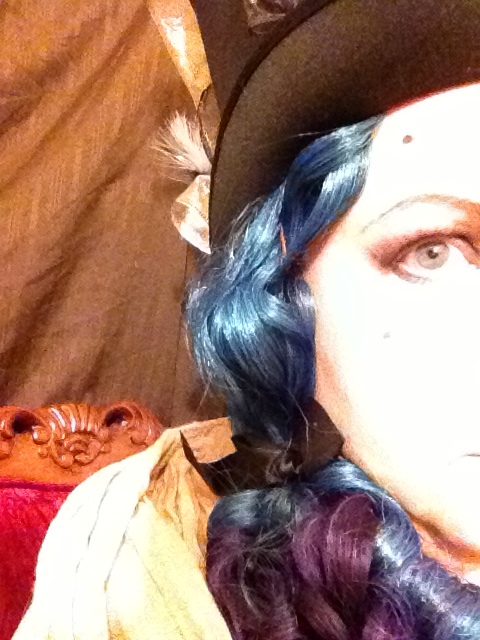 Each hat becomes a little production with its own photo shoot. I like to mix in a unique hairstyle and makeup in the photos. This can sound a little vain, taking a lot of selfies. To me, it’s art. I create a character to match the fashion. 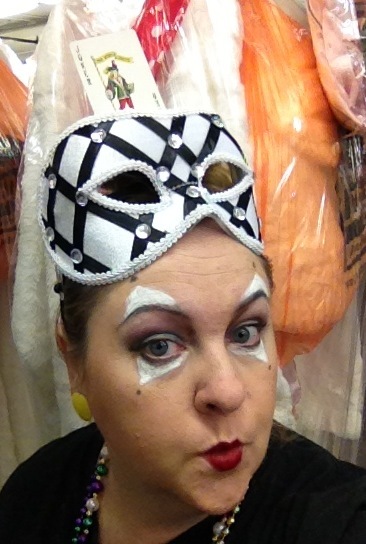 First two pics are of the initial make-up I wore to work at the costume/party shop. 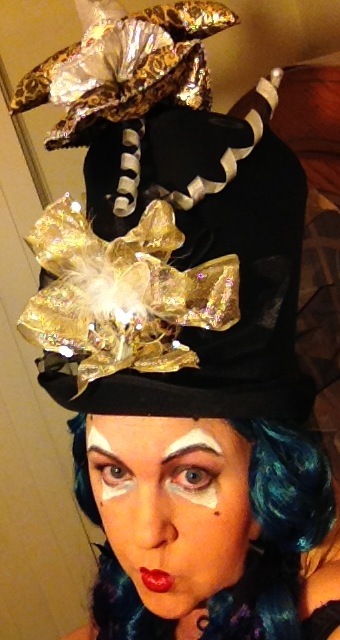 I found the wig (California Costume) at the shop; it was a keeper. The mask is courtesy of Johnnie Brock’s. This second group was taken later that evening with the hat. 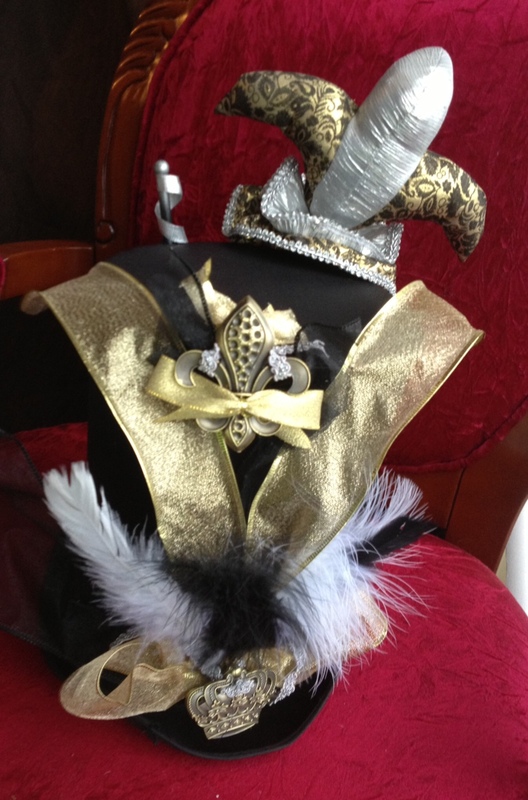 The hat is really traditional New Orleans Mardi Gras opulent with a harlequin and his marching staff holding court from the top. 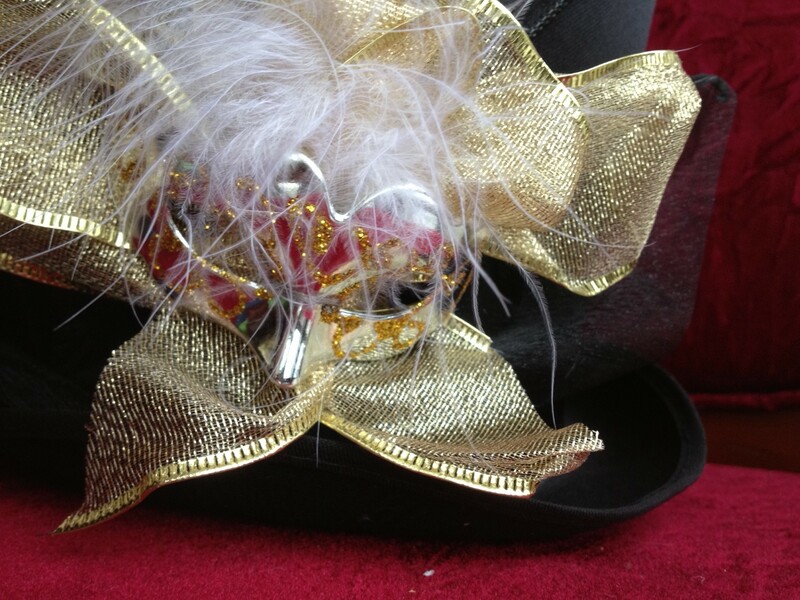 A silver and gold mini mask sets on the front brim. 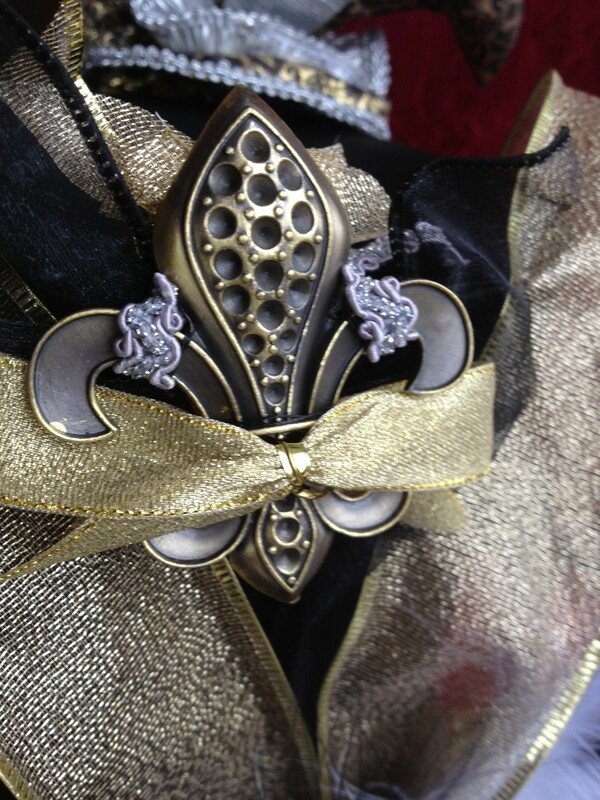 An ornate fluer de lis and crown counterbalance the back side. 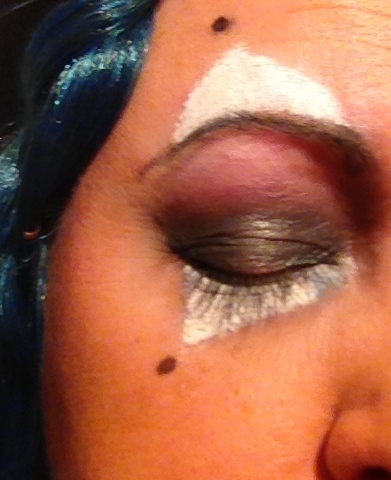 I touched up my makeup with kewpie doll cupid’s bow lips (OK, too much pouting on my part) and traditional Mardi Gras colors for t eyes: purple, green and gold. 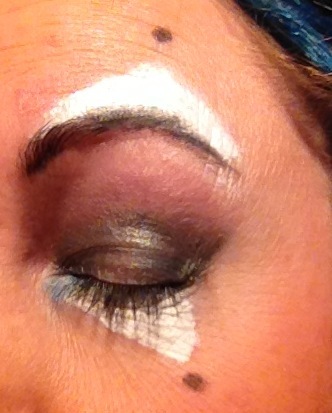 I really enjoyed the finished product. I hope you do too! The latest “The Vampire’s Little Black Book” series volume 8, “Everyone Looks Better Undead” by Victoria L. Szulc is now available on amazon/kindle. 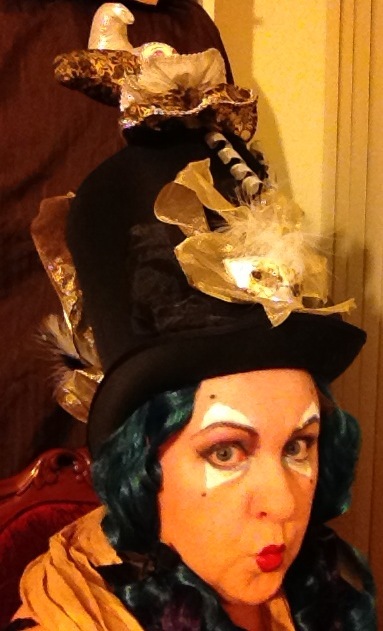 This entry was posted in Uncategorized and tagged costume, costume top hat, Mardi Gras, mardi gras masks, Mardi Gras Top Hat, mask, masks, mysteampunkproject.wordpress.com, Steampunk, Steampunk costume, steampunk makeup, Steampunk Top Hat, steampunk wigs, top hat, Victoria L. Szulc.